Some eurozone members have expressed their willingness to invest more but did not take on board the executive’s proposal for a common positive fiscal stance to boost the bloc’s recovery, at a Eurogroup meeting held today (5 December). The European Commission is of the opinion that the dangerous cocktail of a weak recovery, high unemployment and threat of populist and anti-European forces requires more public spending. For that reason, the executive proposed a fiscal push for the euro club of 0.5% of its GDP (around €50 billion). The European Commission stepped up its efforts to leave austerity behind on Wednesday (16 November) by advocating for the first time a timid expansionary fiscal policy for the eurozone and forgiving Spain and Portugal for breaching EU budget rules. 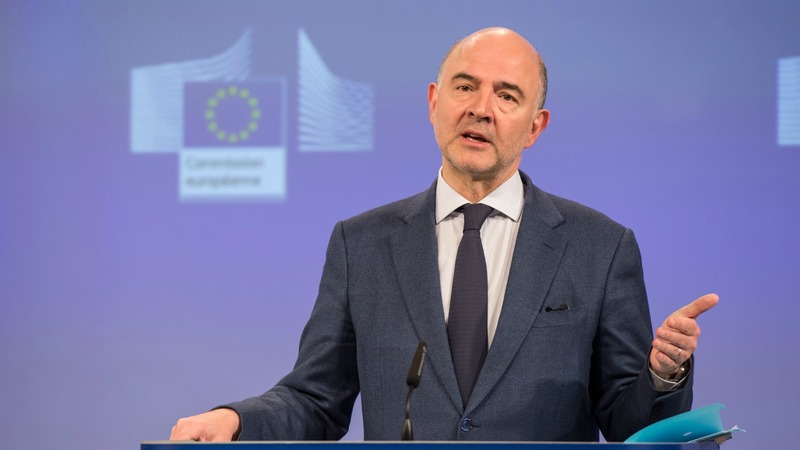 This was seen as a valuable step to deepen the economic and monetary union by moving toward a budgetary union said Commissioner for Economic Affairs Pierre Moscovici. 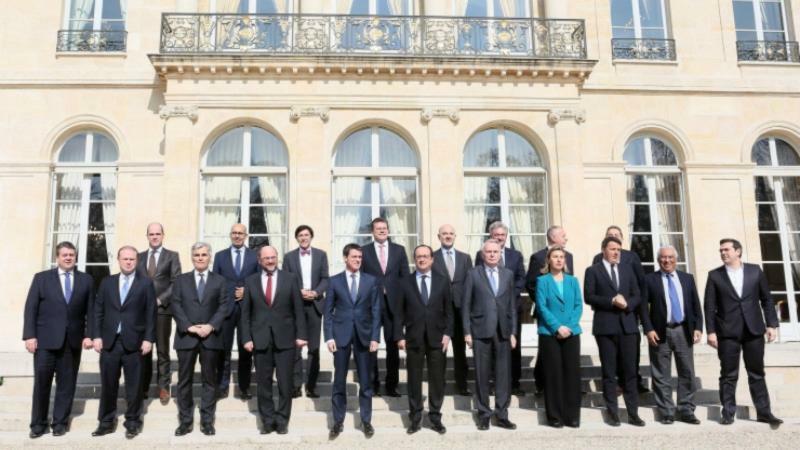 But the eurozone finance ministers turned a deaf ear to the Commission’s common fiscal target. 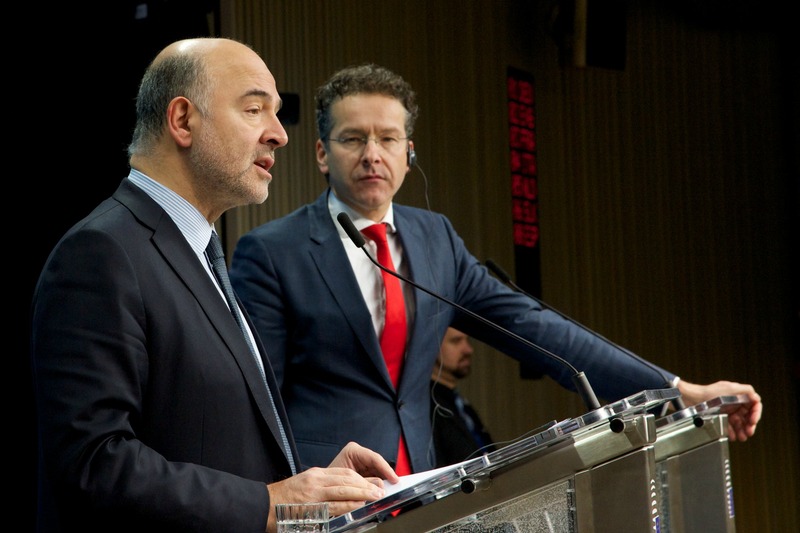 “We did not endorse it,” said Eurogroup President Jeroen Dijsselbloem after today’s meeting. The Eurogroup concluded that only Germany, the Netherlands and Luxembourg have the fiscal space needed to increase their expenditure while still fulfilling the Stability and Growth Pact, the EU rules on controlling the members’ deficits and debts. Dijsselbloem, who is also the Dutch finance minister, explained that these countries were not willing to adopt a specific target. 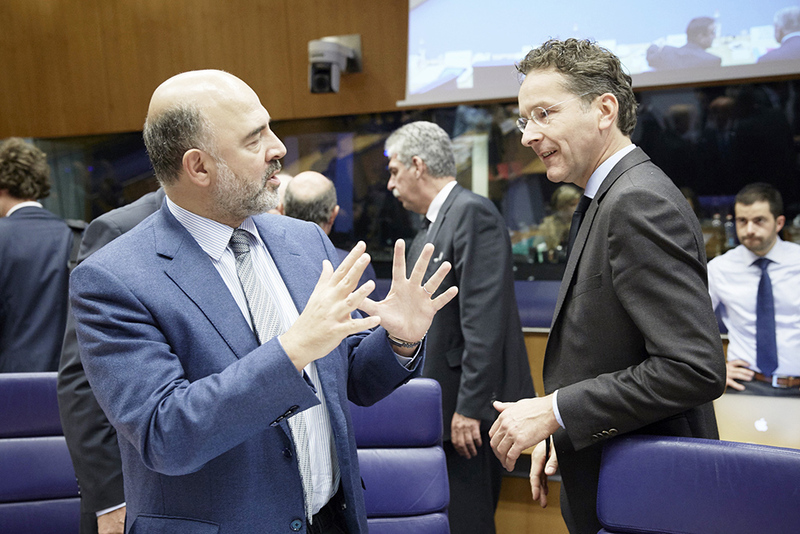 Eurogroup President Jeroen Dijsselbloem on Tuesday (29 November) joined critics of the European Commission’s recent call for fiscal stimulus at eurozone level. However, The Hague will increase investment spending, Dijsselbloem said. Germany is also expected to spend more in 2017 to deal with the refugee crisis and bolster its security measures amid the risk of new terrorist attacks. In contrast with the executive’s latest call for a positive fiscal stance, the Eurogroup went back to the Commission’s July opinion, when it concluded that “the broadly neutral aggregate fiscal stance in 2017 strikes an appropriate balance”. Moscovici admitted after the meeting that “you are always disappointed when your points are not taken”. But he played down the differences with the group. He emphasised that the “important thing is not the figure but the economic reasoning”, and that they are leaning toward an expansionary stance. Moscovici also insisted that investment in infrastructure and human capital “should be better privileged”. In order to avoid the “geographical mismatch”, Dijsselbloem recalled that the Five Presidents’ report, a blueprint to complete the EMU, included setting up a proper economic governance for the eurozone, in the medium to long term. The Commission is expected to put forward in March its vision to complete the economic and monetary union. More investment to support recovery has become a priority for Brussels, as the austerity policies championed by Brussels in the past were used by populist forces to gain support across the EU. But in some cases, the Commission was not ready to tolerate fiscal easing. 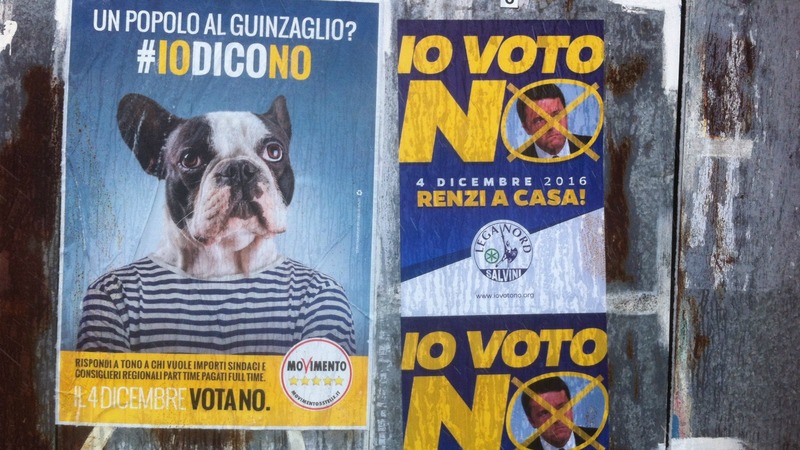 Italy fought with the executive over the last few weeks after Rome decided to increase funds for refugees and the victims of the earthquakes. The extra spending hampered Italy’s efforts to decrease the mammoth public debt of 132% of GDP. Given the political turmoil triggered by the resignation of Prime Minister Matteo Renzi in the wake of his defeat in the referendum on constitutional reform, the Eurogroup decided to postpone the deadline for Italy to submit new measures to balance its public accounts for the “near future”. Italian Prime Minister Matteo Renzi said he will resign after losing a key referendum on constitutional reform, plunging the country into political turmoil and the EU in further uncertainty. Moscovici praised Renzi as a “very important and good prime minister” who implemented “important reforms in Italy”. Brussels and member states minimised the risk of negative spillover effects, in particular due to the delicate situation of the Italian banks. “Italy is a solid country,” the Commissioner said. Spanish Economic Affairs Minister Luis de Guindos said that the impact of the referendum on the markets was “very limited”, since investors had already factored in a potential negative result before. “There is no particular systemic risk” for the eurozone as a whole, said French Finance Minister Michel Sapin. His German counterpart, Wolfgang Schäuble, urged Italy to form a new government capable of continuing with the reform path. In the 2017 Annual Growth Survey, emphasis is placed on the importance of ensuring social fairness as a way to stimulate more inclusive growth, as well as on the need to strengthen competitiveness, innovation and productivity. The draft budgetary plans for 2017 of Germany, Estonia, Luxembourg, Slovakia and the Netherlands are found to be compliant with the requirements for 2017 under the Stability and Growth Pact. Ireland, Latvia, Malta, Austria are found to be broadly compliant. In the case of Belgium, Italy, Cyprus, Lithuania, Slovenia, Finland, their draft budgets for 2017 pose a risk of non-compliance, and might result in a significant deviation from the adjustment paths towards the respective medium-term objective. France´s budget for 2017, assessed under the corrective arm, is broadly compliant, as the Commission's autumn forecast projects that the deficit will be slightly below the mandatory 3% of GDP in 2017. However, the executive said that there is a significant shortfall in the fiscal effort compared to the recommended level, and the correction would not last in 2018 unless Paris adopts new measures. Thus is better than that undemocratic austerity.